I’ve wanted to go deep sea fishing for some time now and finally had the chance to go this month in Cabo San Lucas, Mexico. I was lucky enough to catch four fish. 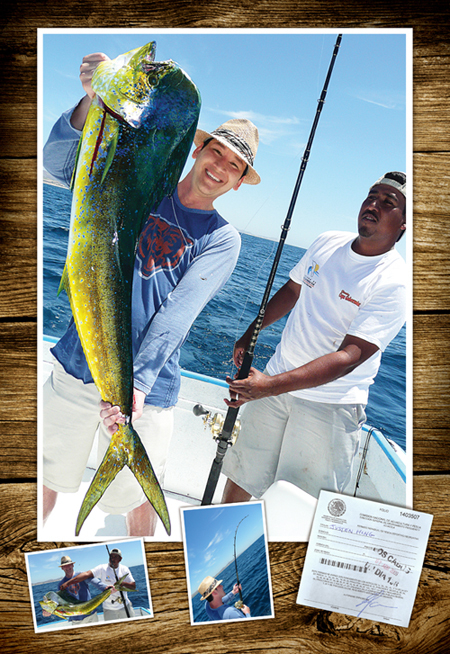 Here is the largest one I caught, a Dorado, also called a Mahi Mahi or Dolphin. It weighed over 25 pounds. A special thanks to Ric Jones for taking me out!